with a TOGA model. When fully retracted the fabric is completely surrounded in a clam shell of powder-coated aluminum with only the valance being exposed. 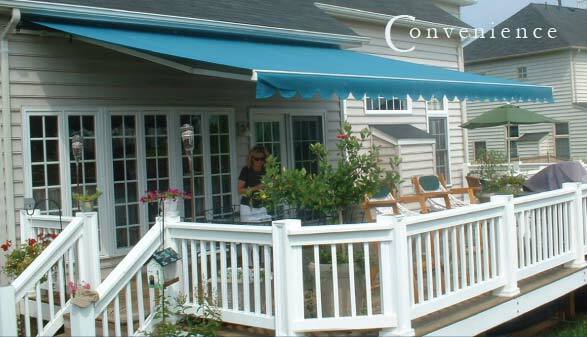 When the awning season is over, the valance can be easily removed and stored to prolong fabric life. This is the ultimate in fabric protection in retractable awnings. 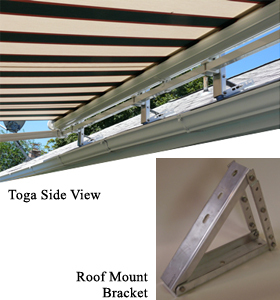 The TOGA is highly recommended for roof-mounted retractable awnings, but may also be used as a wall-mounted retractable awning.